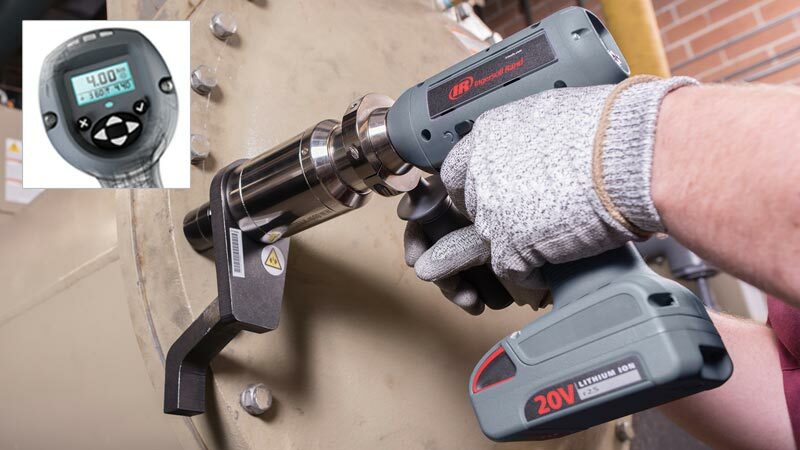 With the innovative QX Series™ Cordless Torque Multiplier, you’re in control, which means greater accuracy, repeatability, and efficiency on every job. For a limited time, receive a free 20V High-Torque Compact Impact Wrench with purchase. 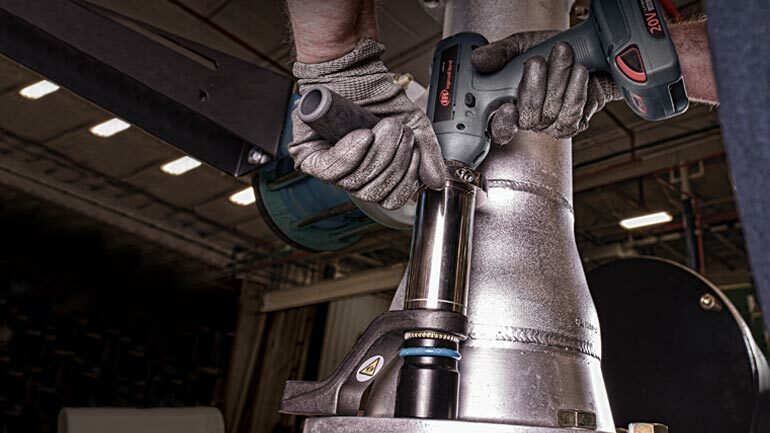 Ingersoll Rand’s closed-loop transducer and premium gearbox provide incredible precision. Configure every job—torque, angle, gang settings—all right on the back of the tool. No cords, no wires, no extra bulk, no limits with the compact QX Series™ Torque Multiplier. Watch this video and see how the premium gearbox provides proven quality and sustained accuracy, while the closed-loop transducer delivers precise torque for accurate, traceable, and repeatable results. With the QX Series™, you're always in control. The multi-function display provides quick setup and feedback on up to eight user-programmable configurations per tool. Plus, operators can move freely without the need for bulky hydraulic hoses or compressors, increasing safety, quality, and comfort on every job. Adaptable to multiple applications across many industries, the QX Series™ Torque Multiplier is truly versatile. You can control the process and optimize workflows to deliver precise, repeatable results in less time—and at lower costs. Need data? The tool saves all rundown information and can even send wirelessly to your laptop. You'll maximize operator productivity on all your bolting projects. Buy the QX Series™ Torque Multiplier. Get a Free Impact Wrench. Need More Information? Check the box to schedule a demo. Thank you for your interest. A rep will be in touch shortly. Your PROMO CODE is QXMBOGOWEB. Submit your PO with QXM item and W5152. Promo Number QXMBOGOWEB must appear on all POs to qualify. Purchase orders must be submitted on or before August 31, 2018. Please submit purchase order with promotional SKU’s only. Please see official rules for details. †Purchase a QX Series™ Cordless Torque Multiplier and receive a FREE W5152 20V High-Torque Impact Wrench. Submit your PO with QXM item and W5152. Your Promo Number must appear on all POs to qualify. Purchase orders must be submitted on or before August 31, 2018. Please submit purchase order with promotional SKU’s only. Please see official rules for details.